50' stretched to 54' 1980 Ocean Alexander Mark 1 with plenty of upgrades. 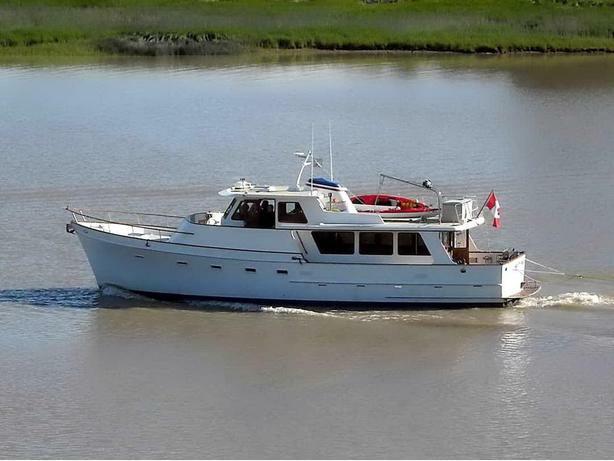 Also comes with a 50' boathouse that can be moored at her present location or moved to a desired marina. Powered with low hours on twin 555 Cummins with twin disc gears and rebuilt Onan genset, Naiad roll control system, 2 private cabins and further sleeping for a total of 8, satellite tv system, additional radiant cabin heat through newly added diesel heater in salon. Call or email today for further details and showings.